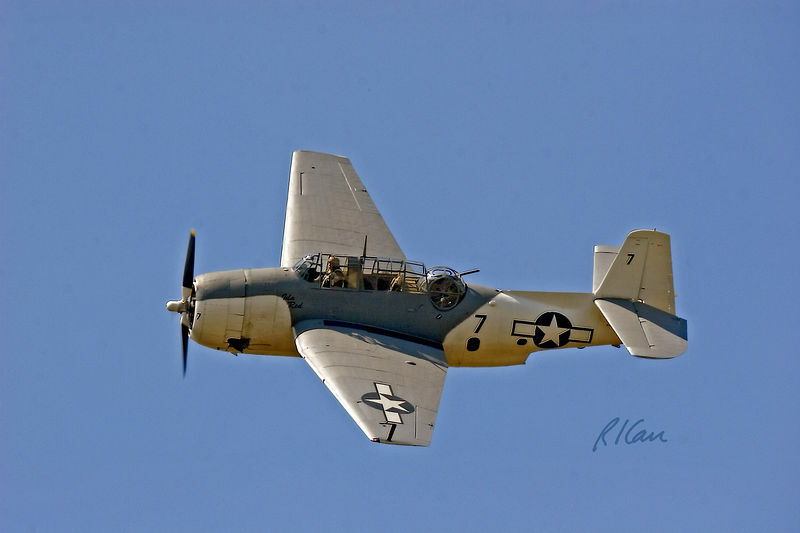 Vintage military, war planes: Grumman TBM-3E Avenger torpedo bomber N9584Z "Ida Red". The Avenger's first action was at the Battle of Midway, June 1942. Propellor driven by single Wright R-2600-20 radial piston engine, it had range of 1000 miles and speed of 276 mph. It carried bombs up to 2,000 lb and was armed with three 12.7 mm and one 7.62 mm machine gun. Thunder Over Michigan, Willow Run Airport, Ypsilanti, Michigan 2005.